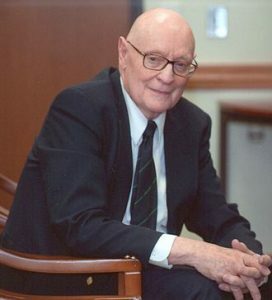 William J. Wainwright is Distinguished Professor of Philosophy Emeritus at the University of Wisconsin-Milwaukee. We invited him to answer the question “What norms or values define excellent philosophy of religion?” as part of our “Philosophers of Religion on Philosophy of Religion” series. The norms and values defining excellence in philosophy of religion include most of those characterizing excellence in the practice of philosophy in general—criteria for assessing world views (explanatory power, simplicity, and the like), logical acumen, a thorough familiarity with the history of discussions of the problems at issue, and so on. It also includes possession of relevant epistemic virtues—openness to criticism, for example, and a passion for truth (as distinguished from a primary interest in winning intellectual games). Philosophical reflection on value laden subject matters requires additional norms, however. Aesthetics and ethics provide examples. Those who are blind to the excellence of Beethoven’s late string quartets, T. S. Eliot’s Four Quartets, G. B. Tiepolo’s ceiling paintings, or Henry James’s fiction, and so on are unlikely to do good work in the philosophy of art. Again, Aristotle and Plato believed that bad people were poor judges of moral or ethical truth. The former, for instance, thought that the major premises of practical syllogisms were “universal judgments of what is good for” people “in general, or as a rule,” or what is generally good for certain classes of people, or for people in certain circumstances. These judgments are (partial) articulations of the good life. Only a person in “a healthy emotional state” can grasp the truth of correct ethical principles. If that person’s desires, impulses, and feelings have been perverted or atrophied by neglect or by wrong training, then he or she will be unable to do so. The resolution of technical and ordinary factual issues in the philosophy of religion (assessment of the validity of formal arguments, for instance, or [more controversially] of the historical accuracy of certain religious texts) require only logical skills and scholarly proficiency—skills and proficiencies which can be mastered by atheists and agnostics as well as by religious believers. But religion too is a value laden subject matter. One is unlikely to do good work in the philosophy of religion, for example, if one is tone deaf to religion’s appeal and hence doesn’t really understand it. That is one reason why the work of Dennett, Dawkins, and other so-called “new atheists” can be largely disregarded while the work of atheists such as William Rowe or Graham Oppy cannot. Furthermore, if the object of religious inquiry is an alleged Goodness underlying, or at the heart of, reality (God, the Brahman, Nirvana, the Tao, etc., etc. ), then it would hardly be surprising if those who neither love nor desire the Good fail to discover the truth about it. Perhaps the most obvious instance of the role our affective attitudes and feelings play in the formation of our religious beliefs, though, is furnished by conflicts over comprehensive world views. Some of these world views are religious but many are not. It is arguable, however, that all comprehensive world views incorporate or reflect values. Contemporary naturalism, for instance, is typically reductive, incorporating a taste for “desert landscapes.” It valorizes science as the only source of truth and dismisses any epistemic claims made by religion, poetry, or the arts. In some cases, a preference for naturalism may also reflect a desire that the world not contain “spooky” realities. Thomas Nagel, for instance, exclaims “it isn’t that I don’t believe in God…It is that I hope that there is no God! I don’t want there to be a God; I don’t want the world to be like that.” Plato, on the other hand, argued that “no man’s soul can feel intense pleasure or pain in anything without also at the same time believing that the chief object of these his emotions is transparently clear and utterly real.” If this is correct, then what pains and pleases us will affect our judgments of what is and is not real. Bodily pleasures and pains, for example, “drive a rivet into the soul, pinning it down to the body and so assimilating it thereto that it believes everything to be real which the body declares to be so” and regards everything else as comparatively unreal. If world views do incorporate values, and values can’t be grasped in the absence of the right feelings and attitudes, then appropriate dispositions of the heart will be needed to discern their truth and the falsity of their rivals. Wrong dispositions, on the other hand, will result in false judgments and intellectual blindness. Thus, if any religious world views are true, the right affective attitudes will be needed to discern their truth. The criteria for determining excellence in the practice of philosophy of religion must therefore include criteria for sorting out epistemically right from epistemically wrong affective attitudes and feelings. 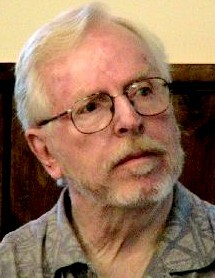 Donald A. Crosby is Professor of Philosophy Emeritus at Colorado State University. We invited him to answer the question “What norms or values define excellent philosophy of religion?” as part of our “Philosophers of Religion on Philosophy of Religion” series. In this essay I shall convert norms and values into considerations and concerns, because I think these two terms more closely convey what I intend to say about philosophy of religion as I view it. The usual theoretical norms are important, of course, for philosophy of religion as they are for any other theoretical enterprise. These include consistency, coherence, adequacy to experience, clarity, simplicity, cogency, and fruitfulness for ongoing inquiry. The values or goals central to philosophy of religion are also encompassed in my two terms considerations and concerns. There are six of these, and I have space here only for brief explanation of each one of them. In what follows, I shall use the single term consideration but want it to be shorthand for considerations and concerns. The first of them is avoidance of reductionism. Philosophy of religion should strive always to do justice to religion as a distinctive mode of thought, inquiry, and practice. It should draw generously on other modes such as science, morality, history, and art for its articulations and expressions, but it is not reducible to any of them. It is also not reducible to philosophy, although it can make good use of philosophy in developing its claims, arguments, and assumptions. The distinctive character of religion should be kept always in the foreground. The second consideration is avoidance of provincialism. Religion is not identical with theism or with typically Western modes of spirituality and commitment. It has a much broader range, and the philosopher of religion must always have this in mind. The differences among religious outlooks and traditions are often as important as their similarities. This is especially the case in our era of globalization. The third consideration is the endeavor to keep constantly in mind the complementary roles of logos and pathos in religion. Religion is a way of life, not just a way of thinking and believing. It has active, emotional, volitional, convictional elements, not just intellectual ones, and these elements are often tightly interwoven with the intellectual ones. The fourth consideration is the endeavor continually to explore and articulate the contemporary relevance of religion to the whole of life and to the world as a whole. This endeavor takes fully into account the fact that relevant and meaningful religion faces to the future, and not to the past. It draws upon resources of the past, and philosophy of religion can help to bring these into view, but these resources are starting points, not stopping points, for the philosopher of religion. The philosopher of religion has an important interpretive task regarding the religious thought of the past, to be sure, but that task is subordinate to the constructive one of showing how religious ideas can relate to the present and future. The fifth consideration is maintaining the sense of mystery that is so basic to religion, and showing how doctrines and beliefs, no matter how profoundly developed and formulated, can never do final justice to the mystery that surrounds and shrouds all religious ultimates. This consideration means, among other things, that paradoxes, symbols, myths, metaphors, symbols, parables, koans, stories, and rites have a crucial role to play in religion, and that these roles need to be kept constantly in view by the philosopher of religion as they relate to discursive doctrines, beliefs, and arguments. My sixth consideration is that the philosopher of religion should always have a pluralistic mindset toward religious differences. The sense of mystery so integral to religion should guard against any tendency to absolutism or exclusivism. Religious ultimates, whatever else they may be, are girdled about with mystery. And this means that there is ample room for different facetings of this holy mystery in the form of different beliefs, practices, and systems of thought. The pluralistic mindset I advocate means that philosophy of religion must always be dialectical in its approaches to religious phenomena. It should avoid any suggestion of close-minded diatribe. This sixth consideration ties in closely with the second one of the avoidance of provincialism or narrow conceptions of religion that fail to give due recognition to its rich and complex history—both between and within particular religious traditions—and its multiple forms of manifestation. Philosophy of religion has the potential to be of significant help to persons struggling with religious questions and quandaries in their lives. Philosophers of religion should do their work with this idea in mind and not allow the discipline as a whole to become so arcane and specialized that it is of interest only to philosophers or can be understood only by them. It can have an important public role to play, and the above considerations can be of great use in filling this role. 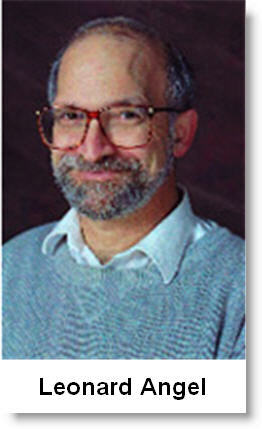 Leonard Angel is Instructor Emeritus at Douglas College, Department of Philosophy and Humanities. We invited him to answer the question “What norms or values define excellent philosophy of religion?” as part of our “Philosophers of Religion on Philosophy of Religion” series. Philosophy of religion should work when an account is satisfactory. When will that happen? When we have a satisfactory theory of how a person has feelings of spirituality and we have a satisfactory theory of how to live a religious life, and we have a satisfactory theory of how to help people, and how to turn the bad into good, and how to really feel alive, and so on. Do the theoretical virtues of scientific thinking apply? If so, religious philosophy would have virtues like explanatory power, predictive accuracy, empirical adequacy, coherence with current theory, fruitfulness for further inquiry, and simplicity. Feelings of spirituality represent all. Then that which has spread to all places should be accepted. But, one’s looking is dependent. If one looks to groups that never had much use for mathematical physics, then lots ¬– having little to do with living a spiritual life – would be lost. This has, mostly, to do with the mechanism of the 1600s, but in the next paragraph we’ll relate what only became clear at some point in the 1900s. Suppose someone looks at how nothing overturns mathematical physics. That is reasonable: it’s not only physical closure (look, you’ll see), but mathematical physics also has some explanatory power – that is, it can explain astronomical events; it also has some predictive accuracy – for, it is able to predict the details of, for example, impact, which has nothing to do with “living a spiritual life,” like the previous case; mathematical physics also has some empirical adequacy – for, it has the ability to welcome observation. We’ll look at coherence with current theory two paragraphs below and on. Mathematical physics is fruitful for further inquiry, and simple, too. Having feelings of spirituality does not require a realm of pure spirit. This needs to be shown. Let’s make a supposition. Suppose some particles, running about, produce what’s required for having feelings of spirituality. This supposition is what’s required, which is okay. Suppose, for the sake of discussion, you don’t want to know, one way or another, whether mathematical physics bases the empirical sciences. Then you don’t care if physical closure is accepted or not. It follows logically that … having feelings of spirituality does not require a realm of pure spirit. That last sentence is, for some, a problem: Suppose one doesn’t care if physical closure is accepted or not. How does what’s after the sentence beginning “Then” in the last paragraph follow logically? Suppose one really doesn’t care. What’s after the sentence beginning “Then,” two paragraphs ago, does logically follow: having feelings of spirituality does not require a realm of pure spirit. This can be put another way. There is an exception to our rule: having feelings of spirituality does require a realm of pure spirit. But what was said a few paragraphs ago could be repeated with a twist. In what’s coming “Let” replaces “Suppose.” Let some particles, running about, produce what’s required for having feelings of spirituality, and for living a religious life. If you really don’t care, then “Let” can replace “Suppose”. Why not? “Let” means “actually,” while “Suppose” refers to an assumption. The purposes of the assumption are irrelevant to us. But we want to include “Let”. What follows the second “Let”, in this paragraph, amounts to physical closure for living a religious life. Work it out; it comes true. Does physical closure allow for living a spiritual life? If physical closure, or whatever it’s called, in future years, is accepted, not only by academics, but also by people not associated with academies, then we’ll deal with problems – there will be some – that arise. But lets return to our question. Would the scientific theoretical virtues apply to the spiritual life? If so, how? The scientific theoretical virtues listed (in the third paragraph) apply, most obviously, in physics. But they also apply in all sciences. The human & social sciences – history, political science, psychology, sociology, anthropology, etc. – would work, too. That gives us what we’re interested in. But leading a religious life is complex. The complexities are what we will look at. It would be good if we could choose one, which stands for the complexities in them all. We come from different backgrounds, some Jewish, some Christian, some Buddhist, some Confucians, and some others. We’ll let Judaism stand for all of them. Judaism is theistic, which is not necessary; theism’s only 50 % of the list just given. Confucianism is not. “Some others” are not. Buddhism is classed as non-theism because the Buddha’s central concept was “suffering.” There are many non- theistic religions. But Judaism is theistic. What brings the theistic and non-theistic religions together is that both believed in a realm of pure spirit. But we already know that that can’t be right. The trouble is “pure;” if one really doesn’t care whether physical closure is true, then it can’t be that there’s a realm of pure spirit. Let … etc. How do the theoretical virtues of the sciences apply? Let’s apply this question to our example: a Jewish Rabbi would need to believe in God. The sciences together would require God not to be both a person and un-embodied. This can be shown, but won’t be, here. Then a Jewish Rabbi has a path: deny one of God being some sort of person, or God being un-embodied, (or both). This is promising. Let Judaism stand for all religions; then, if there’s no trouble, (and there won’t be) it will do what’s required. Nicholas Rescher is Distinguished Professor of Philosophy at the University of Pittsburgh. We invited him to answer the question “What norms or values define excellent philosophy of religion?” as part of our “Philosophers of Religion on Philosophy of Religion” series. Crucial for merit in the philosophy of religion—as in any other branch of philosophy—is an individually cogent and systemically coherent treatment of the issues of the domain. This desideratum has many ramifications. A sensible philosophy of religion must avoid staking unreasonable demands. It must desist from making promises that cannot be met and foster unrealistic expectations. It should not make demands for doing something that cannot possibly be realized, and should confine its demands within the limits of the possible. Also, various obvious fallacies should be avoided, as, for example begging the question or placing reliance on problematic and unsupported premisses. And an-other key aspect of this is the normative proportionality of maintaining a proper alignment between the elaborativeness of treatment and the importance of the issues. —What considerations must be weighed in contemplating a religious commitment? —Does one size fit all? And for a given individual is there a single uniquely appropriate religious tradition? —How does religiosity relate to theology? Can one be a member in good standing of one’s religions tradition without endorsing all, or most, or at least the most significant of its doctrinal teachings? —Is it incoherent to adopt the practices of a religious tradition without endorsing its doctrines—or conversely? —Is a sincere commitment to one’s religion compromised by a failure to disapprove of people who hold a different position? Stepping back from such specifics, it deserves note that the problems of the domain fall into four groups. I.	Methodological. Reflective questions regarding the nature of the field, its problem agenda, the rationale of its constituents. II. Ontological. The existence and nature of the transcendental discourse with which religion is concerned. III. Epistemological. The means and method with which the problems of the field should be achieved. IV. Practical. What is called for in the practical and procedural implementation of religious beliefs. In what ways can and should a mode of life attending to such commitment be conducted? —Question removal: Showing that the questions are inappropriate, do not require any answers, and should be dismissed. —Question-resolution: Providing rationally cogent answers to questions. —Question-diminution: Resolving those agenda questions without raising new, additional, and possibly even more perplexing questions. —Question-reinforcement: Substantiating and rendering more tenable the presuppositions on which the prevailing agenda questions are predicated. But a pivotal issue yet remains untouched. Are there any merits and virtues that specifically apply to the philosophy of religion in contrast to other branches of philosophy? It would seem that there indeed are. Salient among them is the factor of religious urbanity. For the philosophy of religion should come to terms at the very outset with the fact of plurality—that there are different religions, and that however deeply attached we ourselves are to one or another of them, it is neither realistic nor just to expect that others would align themselves to us in these regards. And this means that the philosophy of religion, unlike religion itself, must, qua philosophy, stand free of doctrinal commitments. And here we come to another salient virtue in the field—religious objectivity. Philosophy of religion is not apologetics, and philosophy OF religion is not philosophy WITHIN religion or religious philosophizing. Philosophy of religion, that is to say, should not be predicated on substantive doctrinal commitments; it should not be a matter of preaching to the choir. But how can one discuss matters of religion without substantive commitments? How can one proceed committed-neutrally here and avoid any doctrinal undertakings? The answer lies in yet another virtue that should characterize the philosophy of religion: doctrinal neutrality in regard to religious matters. But how can this objective possibly be achieved? How can one possibly discuss religious beliefs without entering into them? The answer is as old as logic—it roots in an idea that has many names: supposition, hypothesis, assumption. And on this basis, it transpires that the philosophy of religion should talk in the language of IF rather than SINCE. Its approach to doctrinal matters should be suppositional with substantive commitment be left “as an exercise for the reader.” Clarification not advocacy should be the aim of the enterprise. Merit lies in doing well at the philosopher’s job of helping people to understand the implications of and interconnections between the matters of substance to which they have or contemplate commitment. Accordingly, the philosophy of religion can and should deliberate about the ramifications and consequences of accepting a certain religious doctrine—what presuppositions and consequence one must be prepared to accept in the wake of one’s religious commitments? But what it cannot do is to undertake advocacy for the basic doctrinal commitments themselves. The case is not unlike that of the philosophy of friendship. It can tell you about what to look for in a friend, what you should expect of friend and they of you. But it cannot tell you whom to pick for your friends. That is a matter of opportunity, disposition, and personal affinity. How effectively can the philosophy of religion contribute to religiosity? Quite likely not very. There is no reason to think that good philosophy of mathematics makes for better mathematicians, that good philosophy of science makes for better scientists, that acuity in moral philosophy makes for people with better morals. And much the same holds for the philosophy of religion. Better philosophizing in matters of religion need not make for better practice. Halla Kim is an associate professor of philosophy and a faculty member at the Schwalb Center for Israel and Jewish Studies at University of Nebraska at Omaha, USA. 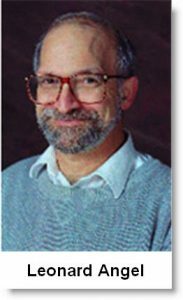 His recent publications include “Immanuel Kant” in Benjamin Crowe, ed., The Nineteenth Century Philosophy Reader (London: Routledge, 2015) and “Nothingness in Korean Buddhism: A Struggle against Nihilism” in JeeLoo Liu and Douglas Berger, eds., Nothingness in Asian Philosophy (London: Routledge, 2014). “Locke on Abstract General Ideas” will appear shortly in Philosophia Osaka. His articles also appeared in Locke Studies, Journal of Philosophical Research, and Recht und Frieden in der Philosophie Kants, among others. His own book Kant and the Foundations of Morality (Lanham, Maryland: Lexington Books, 2015) has just been published as well as his anthology (with S. Hoeltzel), Kant, Fichte and the Legacy of Transcendental Philosophy (Lanham, Maryland: Lexington Books, 2014). Presently he is editing two anthologies, Explorations in Jewish Religious and Philosophical Ethics, together with C. Hutt and B. D. Lerner (Routledge, expected) and Transcendental Inquiry: Its Origin, Method, and Critiques (with S. Hoeltzel) (Palgrave Macmillan, forthcoming 2016). He held visiting professorships at University of Iowa Center for Asia and Pacific Studies (2001), Kyungpook National University, Korea (2011), University of San Francisco (2014), Katholike Universiteit Leuven, Belgium (2014), Shizuoka University, Japan (2015) and received grants from DAAD, Japan Foundation Center for Global Partnership, and the Academy of Korean Studies. Specializing in Kant/German Idealism, modern Jewish thoughts and Korean philosophy, he teaches a number of courses including history of modern philosophy, Kant, German Idealism as well as history of Korean philosophy and Asian philosophy. In 2013, he founded North American Korean Philosophical Association (NAKPA) as an affiliate group of the American Philosophical Association. He is also a frequent lecturer at the Global Day of Jewish Learning organized by the Jewish Federation of Omaha. Presently he is a member of American Philosophical Association, International Kant Society, International Fichte Society, North American Kant Society, North American Fichte Society among others. He is also on the editorial board for Sogang Journal of Philosophy, Korean Journal of Philosophy, European Studies Journal, inter alia. He has served as referee for Journal of Korean Religions, Acta Koreana, Philosophy East and West, Journal of Chinese Philosophy, DAO: A Journal of Comparative Philosophy among others. Tudor Petcu: At the beginning of our dialogue I wish to make reference to the meaning of Korean philosophy in the context of the universal philosophy. I mean I think it would be necessary to present in a relevant way the role that Korean philosophy has played in the evolution of the universal one, especially western philosophy. So, what could you say about this topic? Halla Kim: The abstract thinking in Korea began with native religious thoughts but it received a critical impetus from various thoughts originated from outside of Korea. Buddhism was originally conceived in India and greatly developed in China, but it was enthusiastically received and promoted during the Three Kingdoms Period (57 BCE – 668 CE) in Korea as well as Unified Silla (668-918) and Koryŏ dynasty (918-1392). Indeed, it played a critical and decisive role in the development of mature philosophical theorizing in Korea. Among many of its brilliant contributions, an attempt to effect the achievement of wisdom and perfection in an individual life and in a society under this light was an integral part of this tradition. Later in the 14th century, Buddhism gave hegemony to Neo-Confucianism which originally arose in Sung China. In particular, Chosŏn dynasty (1392-1910) in Korea turned out to be a fertile ground for its further development. For example, the making of a sage in each individual and a virtuous government of a community by such a figure, which culminates in the ideal of sage king, has occupied a central place in this effort. TP: Which are the main philosophical approaches assumed over the years in the different academic milieus in Korea? Can we talk about a strong Korean phenomenology, or about any analytical Korean philosophy, or so? Every country where philosophy was assumed as a field of research has had a specific and general philosophical tradition, as for example England, very well-known through its analytical philosophy, or Germany through its idealism or phenomenology expressed by Edmund Hussserl or Martin Heidegger. In this case, what about the philosophical tradition in Korea? HK: To understand what is Korean about Korean Confucianism, we have to look at the issues that Korean Confucians debated and identify those issues that seem to have interested them more than other issues, and which issues seemed to attract more interest in Korea than in the rest of the Confucian world. In the process, we should try to identify distinctive ways Korean Confucianism evolved, what sort of new schools of Confucian thought and practice it produced. Though I have been studying Korean Confucianism for years, there are many nooks and crannies in Korean Confucian thought and practice I have not had time to explore. Confucianism in Korea, like Confucianism in China and in Japan, is multi-layered and even contradictory, with different scholars arguing for significantly different interpretations of the Confucian Classics and providing significantly different suggestions for how to apply Confucian principles to the world around them. Nevertheless, in my necessarily incomplete survey of Confucian thinking over the five centuries of the Chosŏn dynasty, I have noticed one distinctive thread that stands out–a concern for moral psychology. It is that concern, generated by the recognition of the contradiction between the assumption of human moral perfectibility and the reality of human moral frailty, that led to the disputes between T’oegye and Yulgok over what role the Four Fonts and the Seven Emotions should play in moral cultivation and between Han Wŏnjin and Yi Kan over how much of a sanctuary from evil our basic human nature provided. That same concern led to Tasan borrowing from Catholic writings to create a theistic Confucianism and inspired Ch’oe Cheu to create Korea’s first indigenous organized religion. Because their concern over human moral frailty led Korean Confucians to discuss issues that either were not as important or were not discussed the same way in neighboring countries and even led them to develop novel approaches to solving old Confucian issues, I argue that one thing, at least, that is Korean about Korean Confucianism is this emphasis placed on the search for an explanation of, and a solution to, the inevitability of human moral failure, of the inability of human beings, no matter how much they study the Confucian Classics and how well they understand them, to consistently act in a selfless manner, to act in the way their Confucian tradition tells them they should and could act. TP: Western philosophy has always accorded a huge attention to the relation between philosophy and religion although it is difficult to find too many common denominators, first of all because of their comprehensive logics. Of course, from this point of view there would be a lot to say, especially if we should take into account the modal logics as a way to explain the Reality in comparison with religion, mostly based on a mystical worldview which has its own logics. But we shouldn’t forget about the different Christian efforts in the Middle Age to create a liaison, a strong connection between philosophy and religion, as Saint Anselm or Thomas Aquinas did. Anyway, what can you say about the way the relation between philosophy and religion was defined in Korea and who were the main Korean philosophers focused on the analyses of this topic? HK: Philosophy and religion go hand in hand in Korean Philosophy. In his Eleven Theses on Feuerbach, Karl Marx claims that “the philosophers have only interpreted the world, in various ways. The point, however, is to change it,” thus incisively criticizing the abstract, isolated way that philosophy in the West had been practiced, in separation from the true reality of the world. According to Marx’s conception, philosophy is to be fundamentally practical beyond ‘theories,’ both simple and complex (from the Greek verb, “theorein”). Marx’s criticism, however, would be completely pointless if directed against the Korean Neo-Confucianism/Buddhism. For the latter has always been preoccupied with a concrete praxis in the daily context. Neo-Confucianism and Buddhism is, by its very nature, fundamentally practical, regardless of any shortcomings it is occasionally perceived to have. TP: Would it be correct to say that Buddhism as worldview represents one of the most important foundations of Korean philosophy? HK: As Charles Muller suggests, Korean Buddhism is distinctive within the broader field of East Asian Buddhism for the pronounced degree of its syncretic discourse. Korean Buddhist monks throughout history have demonstrated a marked tendency in their essays and commentaries to focus on the solution of disagreements between various sects within Buddhism, or on conflicts between Buddhism and other religions. While a strong ecumenical tendency is noticeable in the writings of dozens of Korean monks, among the most prominent in regard to their exposition of syncretic philosophy are Wŏnhyo (元曉 617–686), Pojo Chinul (普照知訥 1158–1210) and Hamhŏ Kihwa (涵虚己和 1376–1433). The chief operative conceptual framework with which these scholar-monks carried out their syncretic writings can be shown to be derived from the metaphysics connected with the Hwaŏm (華嚴 Ch. Hua-yen) school, as well as the soteriological discourse of the closely related Awakening of Faith (大乘起信論) tradition, both of which have dual roots in Indian Buddhist and native East Asian philosophy. Among all the earliest forms of Buddhism, the most outstanding is the synoptic philosophy of Wŏnhyo. According to him, the most fundamental Buddhist doctrines are to be understood from the logic of interfusion which enables him to embrace and harmonize different strands of Buddhism without forsaking the substance of them. His view then culminates in the metaphysics of One Mind with its soteriological implications. Then the holism of Ŭisang (625-702) and his Hwaŏm Buddhism is discussed with an account of his Ocean Seal Chart (華嚴一乘法界道) followed by a brief discussion of Pure Land Buddhism and Consciousness-Only School in unified Silla dynasty. No discussion of Korean Buddhism is complete without Chinul (1158-1210), the founder of Sŏn (c. Chan, j. Zen) Buddhism in Korea. Chinul’s Sŏn philosophy with a focus on the notion of “True Mind” is developed in the scheme of Sudden Enlightenment to our true nature under the guise of nothingness followed by a Gradual Cultivation via the practice of nothingness. This gave rise to the age-long controversy over Tonjŏm debate, i.e., Sudden Enlightenment vs. Gradual Development in Korea. Indeed, defying Chinul, T’aego Pou (1301-82), towards the end of Koryŏ, the final national master, emphasized Buddhism as a quintessentially practical discipline where both awakening and cultivation are fully realized in one fell swoop. This effort of Chinul and T’aego Pou were later continued by Chosŏn Buddhist monks, especially, Kihwa and Sŏsan (1520-1601). The Neo-Confucian attack on Buddhism, it will be shown, is in this respect unfounded, for Buddhism, in particular, the quintessential Buddhist concept of nothingness, simply does not entail nihilism conceived as expressing a fatalistic stance about the forces of nature (including human nature) with a strong implication for inaction and despair. TP: We shouldn’t forget to highlight the contemporary philosophical theories in Korea, because in our days it’s very hard to find a philosophical task given the technological revolution and the development of pragmatism. I am saying that because the general question that is addressed even in the British and American schools of philosophy is the following one: what role can philosophy play in our days, in a society where science is evolving on and on? But in spite of this fact and according to the question I have mentioned above, there are numerous contemporary philosophical views related especially to politics, science and economics. So, which are the most important contemporary Korean philosophical theories and approaches? HK: I hope to promote the value and meaning of Korean philosophy in the very context of the age of globalization without forsaking our deep-rooted tradition in Buddhism, Neo-Confucianism and Tonghak (Eastern Learning) among others. This is why the topic of Korean philosophy as such and its modernity is important. Our vision is that there is something very valuable in the traditional Korean thought but this merit cannot be fully appreciated until we consider it in light of the achievement and dynamics of western philosophy. Therein lies the importance of East-West comparative philosophy, in particular, East-West comparative moral theory. The latter is all the more important because Koreans traditionally prided themselves on epitomizing the value of morality “in the East.” The issues in traditional moral theories can best be elucidated and illuminated by the recent development and achievement in moral and cognitive psychology (e.g., moral modularity hypothesis). Finally, we plan to approach and analyze many of the major issues in traditional Korean philosophy in the context of this comparative scheme and provide new answers to those old questions. For example, we strongly hope to come up with a contemporary understanding of the essential notion of li and qi as well as the causal concepts such as “produce” (pal), “ride” (seung), “begets” (saeng). Thus we can see that all these topics – philosophy and modernity, East and West comparative philosophy, some major issues in the history of Korean philosophy, Korean Neo-Confucianism and its moral psychology as well as the East-West comparative moral philosophy are all closely intertwined in the context of the comparative approaches to the problems in Korean philosophy against the most recent development in Western philosophy. Korean philosophy is in its unique, particularized situation in the Korean peninsula and it can be best illuminated when we historically revisit the socio-political-economic-intellectual development up to now since 1945. Korea was freed from the Japanese colonial rule (1910~1945) as soon as WW II ended. At that time, there were fierce ideological disputes between socialists and liberalists. Since then until now, North Korea has followed Marx-Leninism and Juche (self-reliance) Ideology of its communist founder Kim Il-sŏng, while South Korea has discussed various theories of philosophy under liberalism. Thus the South Korean philosophy in the 1950s and 60s leaned toward German Idealism and Existentialism. This inclination was natural for the South Korean philosophers who experienced Japan’s colonialism and the Korean War (1950~1953). The South Koreans had to gather powers in order not to lose the sovereignty of nation and recover the loss of human dignity from the war. At that time, the leading ideology was one-nation-ism (一民主義) that we are one ethnic race speaking one language. Such a strong nationalism in South Korea led to staunch anti-communism. This anti-communism was combined with the nation theory of Fichte and Hegel. The combination of nationalism and anti-communism remained unchanged until the pro-democratic resistance movement in June of 1987 occurred. In this situation, even liberalism was regarded as an impure thought. Korean traditional thoughts were deemed valuable only to the degree to which it supported nationalism. Therefore, South Koreans could not enjoy the freedom of thoughts much like North Koreas. However, the philosophers in South Korea made incessant efforts to achieve democratization. They actively discussed the social critical theory of Frankfurt Schools in the 1970s, Marx-Leninism and North Korean Juche-Ideology in the 1980s, and neo-rationalism, post-Marxism, and post-structuralism in the 1990s. Finally, the issue of environmental value and welfarism came to the fore in the 2000’s. They made continual efforts for the purpose of democratization as well. Of course, these efforts were chiefly made rather outside the academy rather than in it. The philosophers in the academy concentrated on German Idealism, Existentialism, Phenomenology, English and American Analytical Philosophy, East Asian Philosophy, and Korean traditional philosophy. Though there were conflicts between the philosophical activities within academia and those outside of it, various schools of philosophy emerged in South Korea in contrast to North Korea. South Korean philosophers have discussed philosophy in various ways in order to solve the conflicts between Korean traditional philosophy and the accepted Western philosophy, and then they tried to recover the identity of Korean philosophy which they lost during the 36 years of Japan’s colonial rules. They have also discussed the true modernization of their community. Furthermore, they have discussed how to unify South and North Korea. True, it must be acknowledged that there were conflicts between the traditional Korean philosophy and the Western philosophy in the process. But we hope to elevate and develop this into productive communication between the two. This is the area in which East and West comparative framework can be considered and employed most fruitfully. The relevance of traditional Korean philosophy to the meaning and value of Korean philosophy for the sake of ecological value as well as communal value can be seen from the way that I pursue various topics in the efforts of individual efforts. We do our best, and do plan, to make contributions to the issue of environmental values in our research agenda (e.g., post-modern variations with a touch of Taoism). The communal value is addressed in our research too (Confucian communitarianism.) The Korean society has now reached a critical juncture where its tradition has come into conflict with modernity and postmodernity. Its modernization was achieved not by the revolution from below but by the order imposed from above. In a word, the Korean society was modernized in the pre-modern way. Strictly speaking, the Korean society was not modernized until the pro-democratic resistance movement in June of 1987 took place. However, on the one hand, strong collectivism still exists in the Korean society, and, on the other hand, strong egocentrism thrives. Furthermore, Koreans achieved a certain measure of success of modernization at the price of environmental disasters such as the pollution of the air as well as the rivers among others. I plan to shed new lights on how to solve these problems as Koreans are now faced with the task of harmonizing the Confucian communitarianism of our traditional society with the modern libertarianism of the Western society. Some of them say that we have to recreate the Western modernity on the basis of our tradition, and some of them say that we have to keep alive our tradition on the basis of the Western modernity. Others say that we have to follow either post-modernity respecting difference among one another from the viewpoint of Post-structuralism, or the ‘autonomous movement’ from the point of the Spinoza-Marxism. Now, some South Korean philosophers accept the theory of J. Habermas and J. Rawls, but others embrace the theory of A. MacIntyre, M. Sandel, and C. Taylor in order to synthesize the new tradition and modernity after 1987. Of course, there is also an attempt to solve the problem of modernization from the standpoint of Post-Marxism and Spinoza-Marxism, especially G. Deleuze, and A. Negri. In addition, many South Korean philosophers are seriously discussing this issue in regard to our Confucianism, too. The philosophers inclined toward communitarianism contend that we should not accept the liberalism of the West. They say that the liberalism is not suitable for us because our way of life is essentially based on Confucianism. According to their view, South Korean society is now more individualistic than any other society, and so we must develop the Confucian communitarianism in order to solve this problem. We must also recreate the Confucian value in the economic sphere as well as the political sphere in order to realize the truly East Asian value. Thus we can see that all these important areas of research have been incorporated in the Korean lab project.